Calls for raising the bar in real estate have reached a fever pitch recently. The ranks of newbie agents have swelled over the last few years, and one report recently cast subpar agents as the No. 1 threat to the industry. We’ve rounded up some proposals from Inman readers for how to remove the hack agents from real estate. 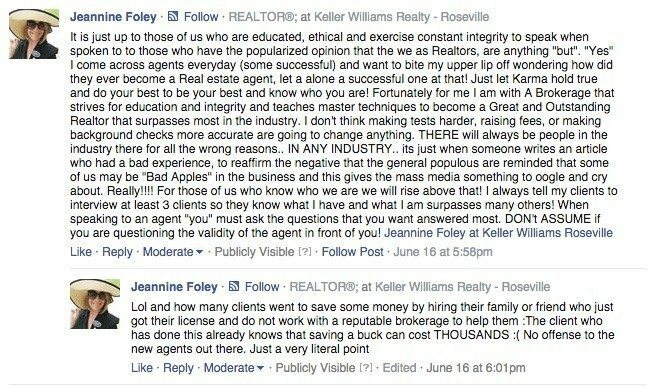 Some might only raise the quality of Realtors. Others could hold all real estate agents to higher standards, Realtors and non-Realtors alike. 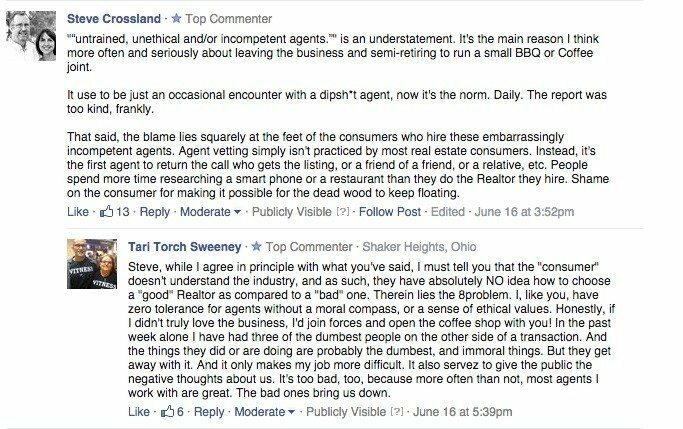 The logic is simple: Realtors who aren’t successful or committed to the profession would drop like flies. The National Association of Realtors could require Realtors to complete more education than just code of ethics training, which must last at least 2.5 hours. Local associations could also add or strengthen their own education requirements. “I’d pay triple (or more) than current NAR, state, and local fees to offset the loss of membership revenue as a result of raising the bar,” said broker-owner Steve Wiley. Increase real estate license fees. Real estate agents and associations could lobby for their state regulator to require agents to pay more to both acquire and renew a license. Require real estate agents to demonstrate productivity. NAR or state regulators could require real estate agents to demonstrate a certain level of productivity. That would weed out many dilettantes. Require real estate agents or Realtors to graduate college. This would certainly reduce the number of real estate agents. But some might argue that it wouldn’t necessarily boost the overall quality of real estate agents. Agent Eric Krodel even recommends requiring agents to complete another year on top of a college degree. Real estate regulators should take a hint from their peers, he said. “The state licensing boards simply need to walk down the hall and ask the accountancy and law folks what they do,” he said. Like some other prescriptions for raising the bar in the industry, either NAR or real estate regulators could impose this requirement. Make it harder to qualify for a real estate license. Real estate agents and associations could push for their state regulator to require real estate agents to complete more difficult qualifying and continuing education. Regulators should also improve course curriculums, according to managing broker Sabrina Anderson, who said she teaches real estate licensing classes. Require agents to apprentice under a broker. Burns thinks agents should be required to complete a one- to two-year apprenticeship under a broker before they can perform certain tasks, such as writing a contract. Beef up regulators’ real estate complaint process. Reformers could urge regulators to streamline the complaint process, protect a consumer’s anonymity when appropriate and slap agents with steeper fines for infractions. Beef up Realtor ethics complaint process. NAR could require Realtor associations to make it easier for members to file complaints alleging a violation of NAR’s code of ethics, streamline the hearing process, and impose harsher penalties on members found guilty of breaking rules. Make it easy to find out if an agent has committed infractions. Some real estate regulator and Realtor-associated websites should allow, or make it easier, to find out if an agent has a tarnished record. Educate consumers on how to choose real estate agents. Low-quality real estate agents wouldn’t be able to survive if buyers and seller didn’t hire them. But the fact is, many consumers are inclined to work with friends or family in the trade, without realizing that those agents won’t provide top-notch service. Many consumers generally “have absolutely no idea how to choose a ‘good’ Realtor as compared to a ‘bad’ one,” said Realtor Tari Torch Sweeney.